By Lauren Bogema – Three resorts, five qualifying events and 10 Grand Prix finals later, the US Olympic halfpipe team has finally been selected. It was a long road, but at this point – when all roads lead to Vancouver – the trip was definitely worth it for the eight left standing. When all was said and done, and the smoke cleared (wow, can I use more clichés right now? ), Shaun White, Scotty Lago, Louie Vito, Greg Bretz, Kelly Clark, Hannah Teter, Gretchen Bleiler and Elena Hight made the cut and can call themselves Olympians. 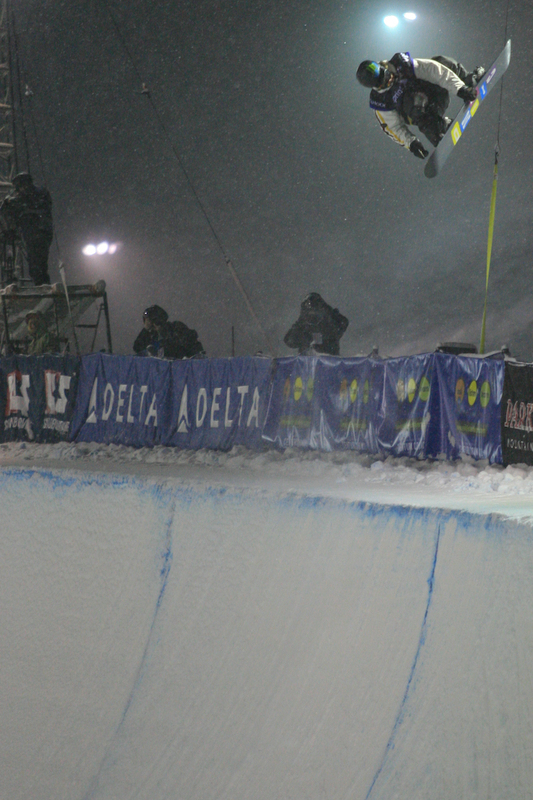 Among these eight are three gold medalists (Shaun White and Hannah Teter in 2006; Kelly Clark in 2002), a silver medalist (Gretchen Bleiler in 2006) and three first-time Olympians (Greg Bretz, Louie Vito and Scotty Lago). 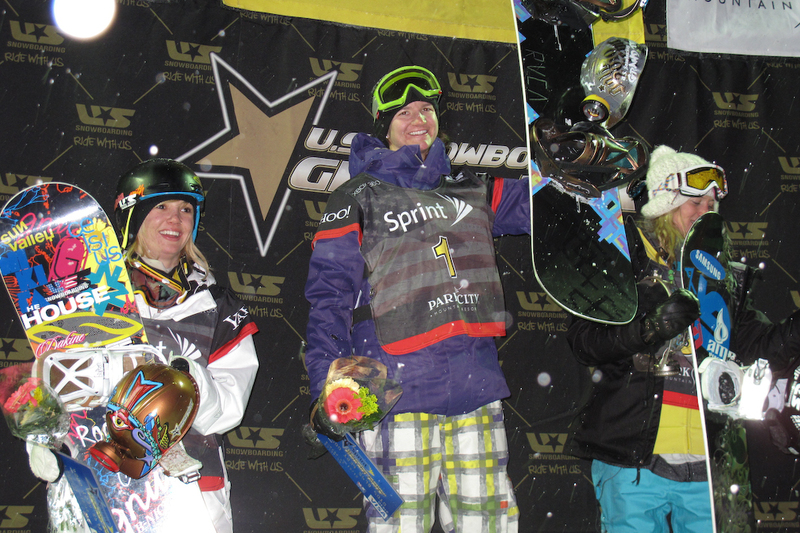 For those of you who follow the Winter Dew Tour exclusively, only Shaun White had a spot locked up on the men’s team heading into the last two finals of the Grand Prix series – both held at Park City – but Louie Vito’s pair of second-place finishes made him pretty close to a shoe-in as well. Both JJ Thomas (who got bronze at the 2002 Olympics) and Zack Black had a third- and a fifth-place finish under their belts from the first three events, and between them, they were set to battle it out with the likes of Scotty Lago and Luke Mitrani for the final spots on the team. 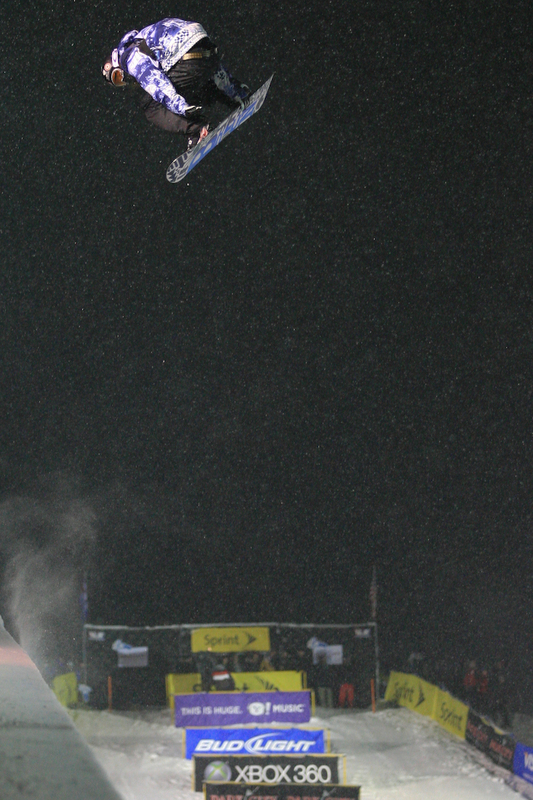 For the women, Kelly Clark matched White’s two wins with a couple of her own and had punched her ticket to Vancouver even before the weekend started. It was a tight race for the ladies as well, with Gretchen Bleiler claiming a first and a second, Hannah Teter snagging a second and a third and Elena Hight close behind with a second and a fifth. Basically, it boiled down to this — only the top nine women and the top 16 men were invited back to the final two Grand Prix events in Park City, and the entire U.S. Olympic halfpipe team was drawn from that field. Obvioulsy, Shaun White and Kelly Clark already locked in their spots on the U.S. Olympic team, but the wins gave them an even bigger cushion in the overall points standings. After the gold-medal duo, Louie Vito, Scotty Lago, Hannah Teter and Gretchen Bleiler were all sitting pretty as well. The final night of the Grand Prix kind of felt like a re-run of Friday night, with both White and Clark taking their fourth of five victory laps (slightly absurd how good they both are). With the way the Grand Prix standings work, you take each competitor's two best scores, then average them to see where they rank against everyone else. The top three in the overall standings automatically earn a spot onto the Olympic team, and then, in the case of a tie, the US Olympic team coaches get to make the final call on who makes the cut and who gets to watch the events on TV. Congrats to all eight! 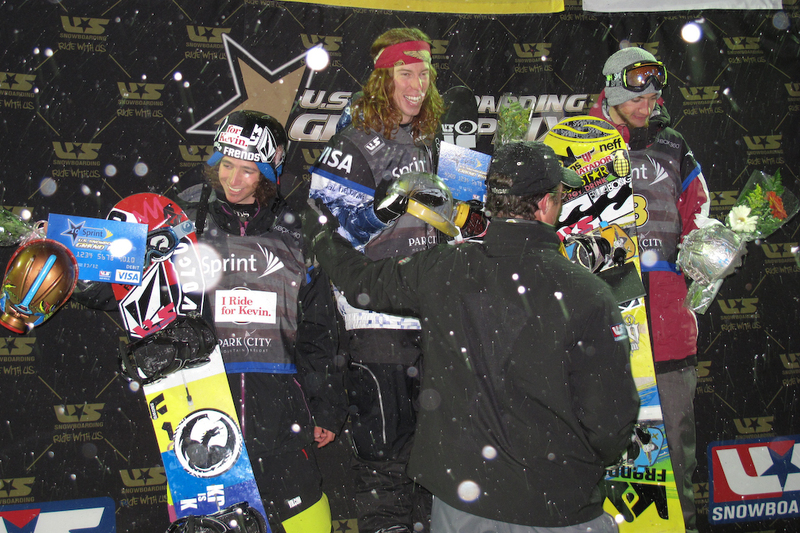 Let's hope for another USA podium sweep in Vancouver in just a few short weeks!